Veteran journalist and TV Host Jay Sonza made another interesting expose on social media as he revealed the hypocrisy of Senatorial Candidate Gary Alejano, Kabataan Partylist Rep. Sarah Elago and Bayan Muna leader Renato Reyes involving China. 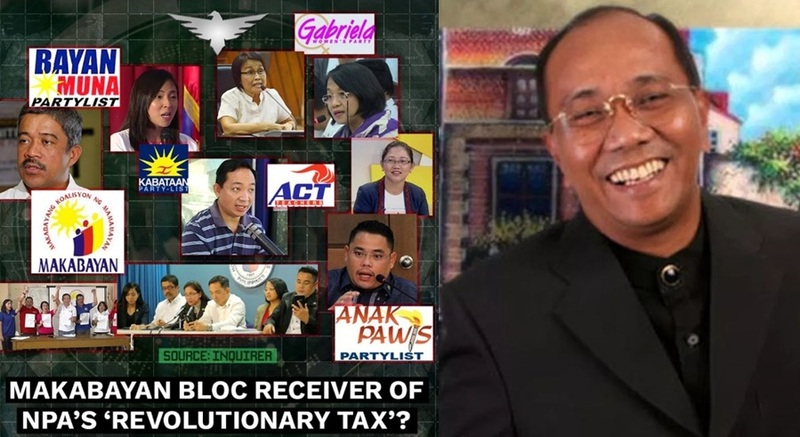 According to Jay Sonza, the alleged leftist leaders in the Philippines, particularly Gary Alejano, Sarah Elago, and Renato Reyes are indeed hypocrites. These three leaders always spoke up against China but in reality they were even caught on social media greeting the Filipino-Chinese community in celebration of the Chinese New Year. Alejano, Elago, and Reyes even eat and enjoyed tikoy, moon cake and other produces of Mister Ube. They also enjoyed eating some Chinese restaurant in the country. These hypocrites also buys from Chinese hardware stores. * nagbabakasyon sa hongkong, Macao, Singapore, Taiwan at iba pang Chinese speaking tourist destination.